Alkaline water has a pH that is greater than 7.0. It contains extra minerals such as lead, salt, iron, manganese and calcium. 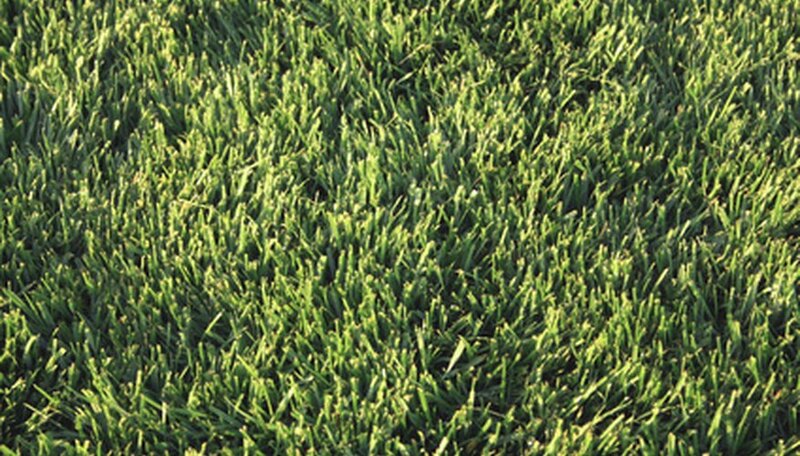 The surplus of minerals can negatively affect your grass. If your municipal water is more toward alkaline, you don't need to sacrifice a lush, green lawn. Simply use a reverse osmosis filter to make the water more acidic. Reverse osmosis makes water migrate from a stronger saline solution to a weaker one through a membrane. The membrane blocks salt particles, and other contaminants. Test your water to determine what chemicals are present. The most common are fluoride, calcium and chlorine. Use a water test kit from a nursery or check with your local cooperative extension to see if it will test it for you. Get a reverse osmosis filter that fits on your garden hose. It will eliminate some of the minerals and chemicals that can cause harm to your lawn. They are available at online suppliers. Attach the filter to a standard 3/4-inch hose fitting. You need two hoses. One will go from the faucet to the filter and the other will deliver the water from the filter to the lawn. Mount the filter on the side of the house if desired. Most come with a mounting bracket. Follow the included directions. Turn the faucet handle counter-clockwise to turn it on. Let the water run through the filter for a few minutes. Pour some water from the filtered hose into a watering can if you are watering a small section of your grass. Keep the filter out of the water because it will not function well if submerged. Water larger portions of the lawn with the garden hose directly. Keep the filter in place as you give your lawn the amount of water it needs.